GDPR is here, is your business or home office ready, we can provide a range of Security Safes, Security Cabinets and Laptop Safes to suit your needs and protect your personal data from fire and theft. We can help get you prepared. 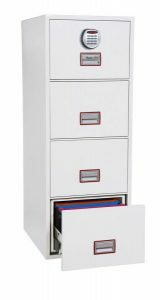 Capacity able to accommodate Foolscap, A4 and A5 files on width adjustable rails. Compression plates are also supplied to maximise useable space. 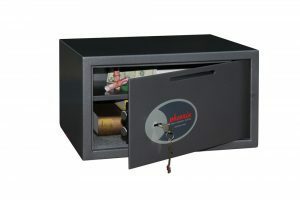 Our home/office range of safes suitable to store valuable, cash and important documents. With its high quality key-lock or user friendly electronic lock it is ideal for multiple applications. Our range of Laptop security cases are not only stylish but also extremely durable with its aluminium body and ABS panelling. Features – Interior lined with high quality materials to protect your laptop from damage. 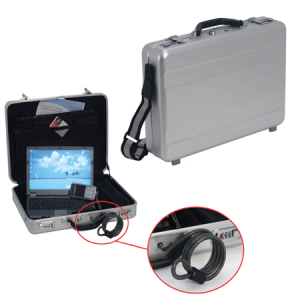 Supplied with zipped cable bag to keep all your cables neat and tidy. Filing compartment to keep all your working documents neat and tidy. Adjustable soft compartment separator. Supplied with high quality shoulder strap.